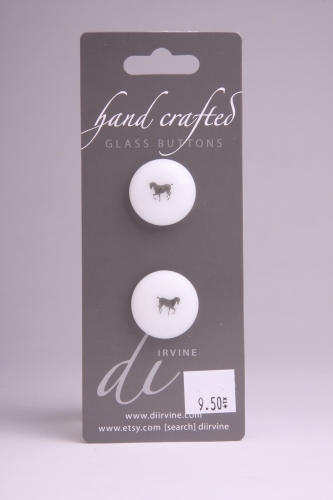 Add a beautiful finishing touch to your carefully handcrafted item with a beautiful button. Delicately designed white circle button with an enchanted pattern. My glass buttons are made one at a time and while some are similar and can be grouped on an item no two are exactly alike - that is the joy of handmade! Glass buttons have a heft and beauty that no plastic button can duplicate.